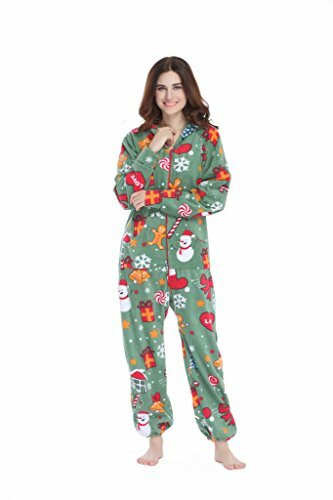 There Are Some Of Our Favorite Festive Christmas Onesies for Adults! Here at Board and Life, we love the holidays and we love onesies. Eric has a dinosaur onesie (it’s this exact one – we’ve spoken about it before) and it’s super warm and just straight up awesome. Now, with the holidays fast approaching it’s time to get your Christmas-themed one! 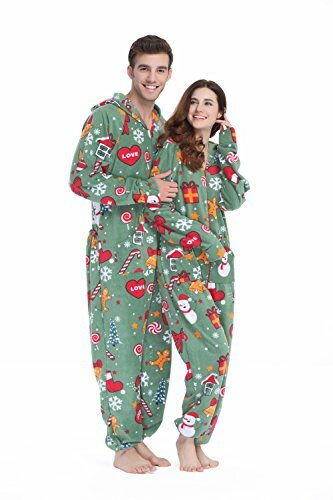 There is even matching family Christmas pajamas – and you could also look into getting a matching Christmas sweater for the dog! 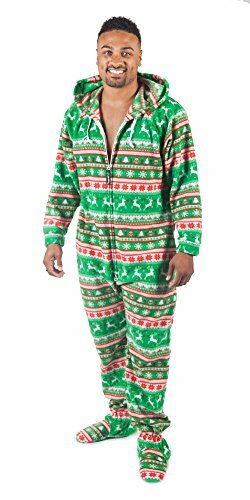 Just for good measure, we threw in our favorite funny winter onesies that any adult could get away with (maybe) wearing during Christmas. 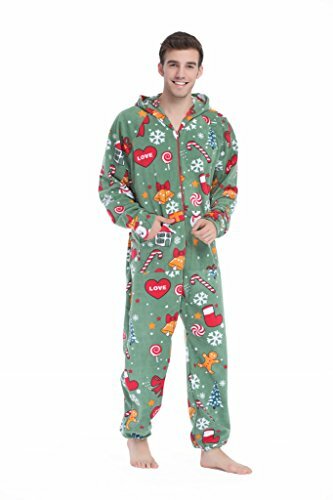 If you know your buying preferences and want to get started, check out these amazing Christmas onesies. But if you want to shop and learn a little, then read on! Purpose. 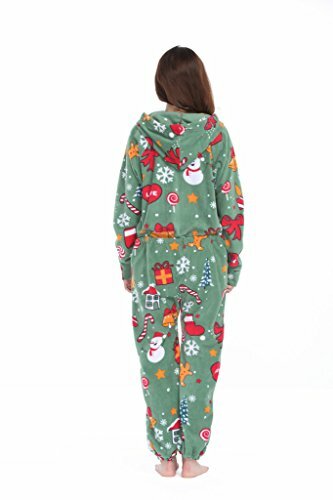 So, why are you buying Christmas onesies? Do you actually need to stay warm and comfortable or are you looking for laughs at a gathering? Do you need both? These are all things you should ask yourself before you buy! Details/Accessories. How important is a hood or fully covered feet? How many pockets does it have? Are the wrist and ankle cuffs loose or elastic fit? Is the front zippered – or buttoned? These are just a few things to think about when you buy a new onesie! Price/Quality. Prices for onesies can fluctuate depending on their overall quality, material used, details, etc. You can find a cheap onesies but it may not be that warm – and if you’re buying for warmth then that’s not for you. A funny onesie that makes a statement might be pricier but you’ll likely get a quality, well-built onesie. Starting off the list is a classic pattern. Rocking reindeer and Christmas trees is never a bad choice! 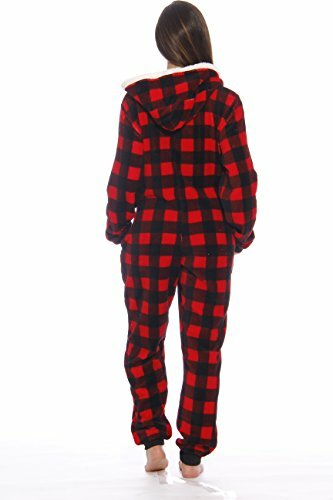 Made from a thick fleece, this onesie has a zippered front, a drawstring hood, and full-on feet with gripped bottoms! Also, it’s machine washable which is nice. 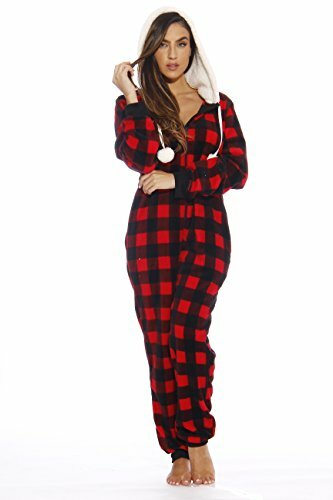 It’s made to fit large for sleeping or relaxing – and you can learn more about buying non-holiday onesies in our other guide on women’s onesies! 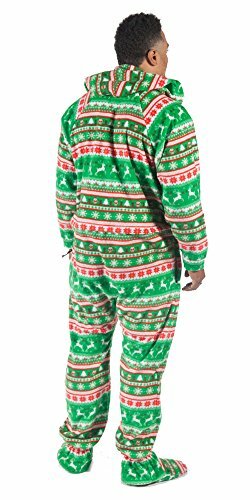 Made from 100% polyester fleece, this onesie is also made to fit loose. This one is great because it has deep side pockets and a double zipper that opens from both ends. The closed feet help keep the warmth in, and did we mention how awesome the print is? Red and green – definitely in the Christmas spirit! Here’s another classic red print, footed bottoms, elastic wrist, fleecy onesie! Simple but effective – this one is made for easy in and out with a zippered front. A big difference with other onesies is the “scoop neckline” and no hood – making this onesie likely a little less warm generally but still very cozy! 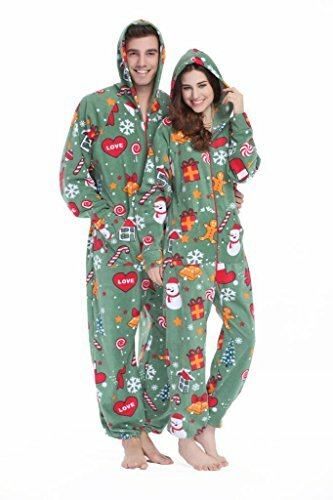 Oh yeah, here are the fun Christmas onesies! Made from a polyester fleece, these unisex onesies are great for buying as a matching pair. They have a zippered front and hoods for keeping in the heat. The bottoms are closed feet which is always nice since you don’t have to worry about wearing wearing socks with it to keep your feet warm. Bonus! 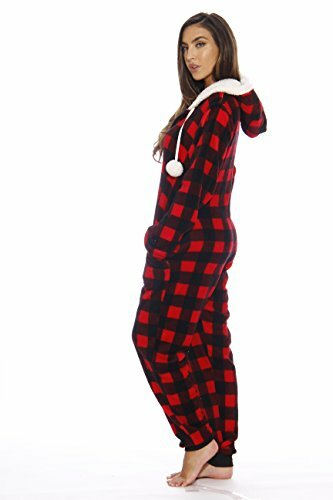 A little more style but still definitely in the holiday spirit – this plaid onesie really delivers on the details. From the plush fleece material to the drawstring hood with pom poms on the ends – this is like the high-end car model of onesies! A big difference here is that the feet aren’t enclosed – but there are elastic cuffs at the wrists and ankles. It’s very comfortable since this is how Eric’s onesie is set up! Do you love Christmas? Do you want the world to know that you love the season? Well, this is the print for you then! You’ve got candy canes and gingerbread on it for crying out loud! Complete with hoods but without feet and grippy bottoms, you win some and lose some on this onesie. For the price though, it’s a great deal on a simple and comfortable polyester fleece onesie with a deep front pockets! Finally, if you love Dr. Seuss, this classic Christmas character onesie will make you excited! Behold – The Grinch! Complete with a hood with his eyes on it and his signature green fur, you even get to see his “heart 3 sizes too small” on the outside. The feet are open but the thick fleece is warm and the front zipper goes up to the neck quite high! Also, it says “for women” but it can definitely be unisex. 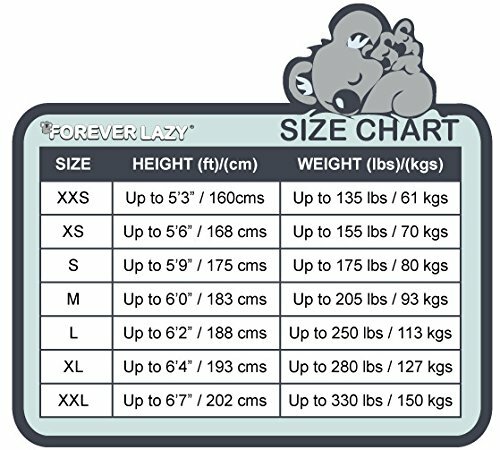 Just check the sizing chart and order accordingly. And there you have it – some of the best festive Christmas onesies for adults out there! 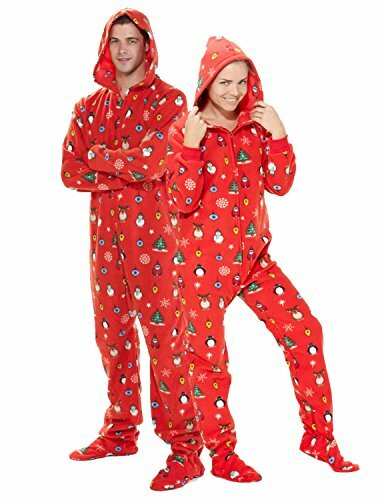 Whichever one you choose, you’re sure to find a onesie that suits your (and/or your partner’s) style this holiday season. We love the one with the penguins and snowmen – what do you think? Tweet at us @BoardandLife and let us know!